Dazzlingly original, Kobo Abe's The Woman in the Dunes is one of the premier Japanese novels in the twentieth century, and this Penguin Classics edition contains a new introduction by David Mitchell, author of Cloud Atlas. Niki Jumpei, an amateur entomologist, searches the scorching desert for beetles. As night falls he is forced to seek shelter in an eerie village, half-buried by huge sand dunes. He awakes to the terrifying realisation that the villagers have imprisoned him with a young woman at the bottom of a vast sand pit. Tricked into slavery and threatened with starvation if he does not work, Jumpei's only chance is to shovel the ever-encroaching sand - or face an agonising death. 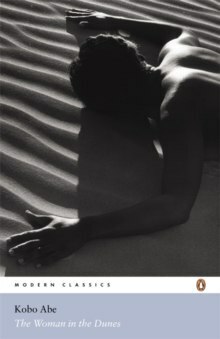 Among the greatest Japanese novels of the twentieth century, The Woman in the Dunes combines the essence of myth, suspense, and the existential novel. Kobo Abe (1924-93) was born in Tokyo, grew up in Manchuria, and returned to Japan in his early twenties. During his life Abe was considered his country's foremost living novelist. His novels have earned many literary awards and prizes, and have all been bestsellers in Japan. They include The Woman in the Dunes, The Ark Sakura, The Face of Another, The Box Man, and The Ruined Map.